UK Export Finance (UKEF) has today launched a month-long consultation into its foreign content policy. During the consultation, the UK’s export credit agency will ask the public for its views on proposed changes, which are designed to recognise the full contribution of the UK supply chain in the transactions UKEF supports. The proposed changes will enable UKEF to provide the most appropriate support for UK exporters and suppliers, ensuring that the UK remains competitive and enabling global buyers to purchase more easily from the UK. The consultation was announced in the Spring Statement and follows the publication of the Export Strategy in 2018. The strategy underlines the government’s commitment to providing comprehensive and flexible support to help UK exporters take full advantage of international demand for the UK’s world-class goods and services. 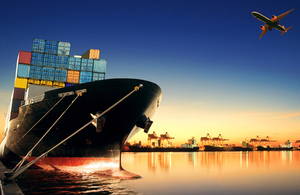 UK Export Finance is committed to helping UK exporters succeed in overseas markets with the right support. By consulting on the support we provide, we are ensuring we can adapt in line with the world’s changing economy and the changing needs of the UK’s exporters, ultimately ensuring the UK meets its trading potential. UKEF has a national regional network of 24 export finance managers supporting export businesses.